Reduce costs and increase efficiencies and flexibility within your supply chain network. Transloading increases the efficiency and flexibility of your supply chain by providing a crucial nexus between truck, railroad, and vessel transportation. Often times a company doesn't have the space to store bulk products. Scranton Transload offers 20,000 square feet of dry storage increasing the safety and accessibility of your products. 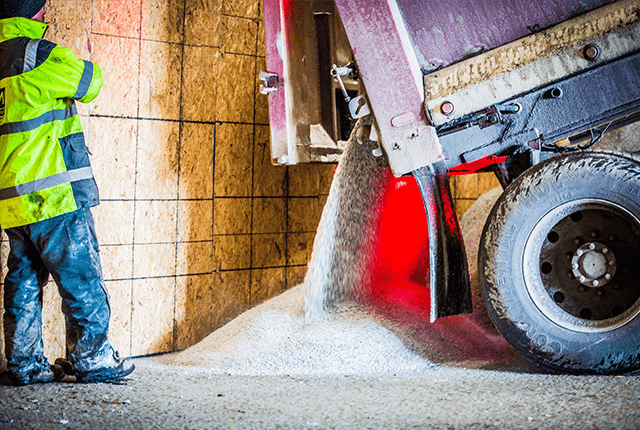 Transloading improves the cost-effectiveness of transporting bulk and heavy materials by providing load consolidation and more affordable modes of transport than would otherwise be available to a company. Scranton Transload, an Evercor Company, is served by the Delaware and Lackawanna Railroad, and connects to two Class 1 Rail Providers, Norfolk Southern and Canadian Pacific. Our services improve transportation efficiency and flexibility for companies that need to import, export, or ship products to or from our region. We offer competitive rates, and timely, flexible, and efficient services. Evercor Facility Management is a self-performing facilities maintenance firm specializing in the maintenance and support of commercial, distribution, fulfillment, and industrial properties. 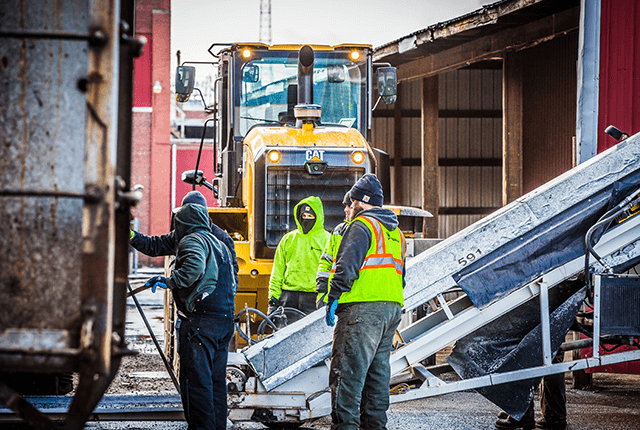 At Evercor, along with our self-performing subsidiaries including Access Equipment Rentals, Castle Construction, Corporate Cleaning Solutions, Evergreen Landscaping Services, Scranton Transload, Snow Management, Inc., and Superior Sweeping Services, doing things right is one of our most important values. Dedicated to a professional, knowledgeable workforce, excellent organizational culture, and our customers, we develop proactive solutions to meet our customers’ unique needs while keeping their satisfaction our top priority. Scranton Transload enables shippers without access to rail the ability to capture the low cost of rail transportation via transloading. What is transloading? Transloading is the process of transferring several shipments from one mode of transportation to another. It is utilized when one mode cannot be used for the entire process. Transloading provides a cost-effective method to secure the benefits of rail freight without onsite rail access. 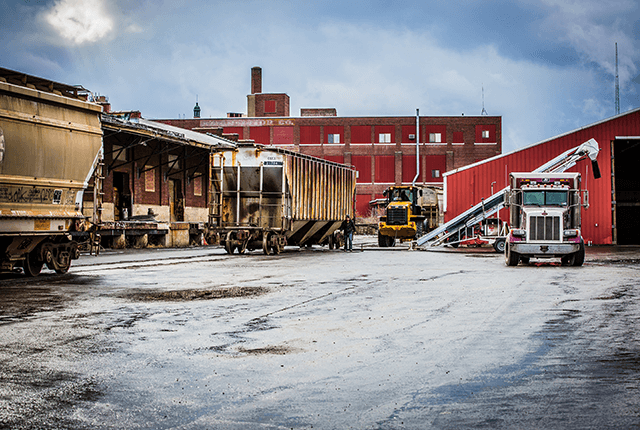 By using tank car shipments to our centrally located transload facility for bulk truck delivery to their customers or plant sites, shippers can generate real savings. We offer real cost-cutting measures for producers and distributors to stock normal or emergency deliveries at our facility. Scranton Transload is located in the heart of Northeastern Pennsylvania transportation corridor and just a short drive to most of the largest metropolitan areas in the country including New York City, Philadelphia, Baltimore, Washington D.C., Pittsburgh, and Boston. Our rail yard is located less than 10 miles to three main interstates enabling you to reach nearly every part of the Northeast quickly. New York City, Philadelphia, Harrisburg, and Syracuse are located within two hours of our region. This includes I-80 (access to New York City), I-78 (access to the Lehigh Valley and New Jersey), I-84/I-90 (access to Boston), I-76 (access to Pittsburgh and Philadelphia), I-70/I-270 (access to Washington DC), and I-83 (access to Baltimore). Scranton Transload, an Evercor Company, serves businesses with strategic solutions for their supply chain management. 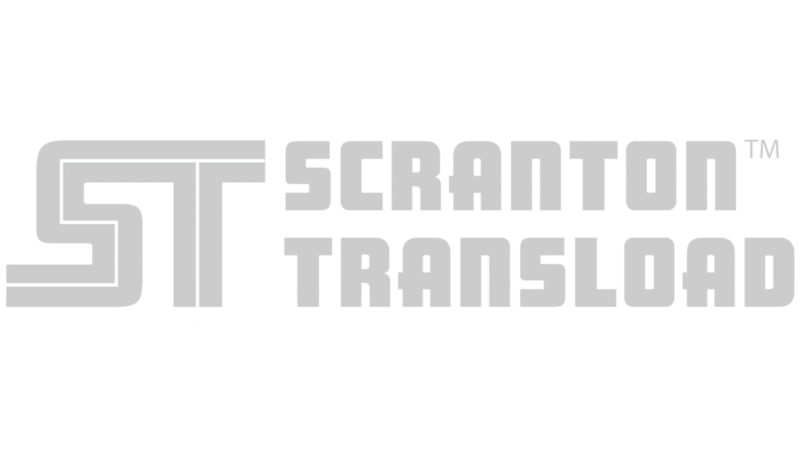 © 2019 Scranton Transload. All Rights Reserved.